Why hello there, let me introduce myself. 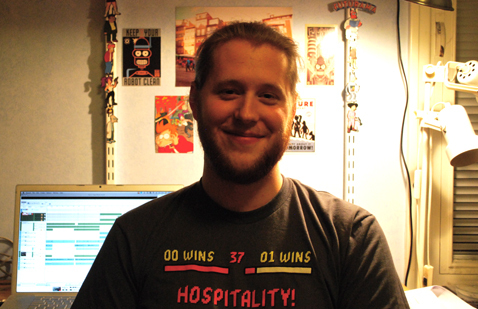 My name is Mattias (also known as anosou) and I’m the composer responsible for the music in Cobalt. While this mainly means I’m composing the music for Cobalt I also have a lot to say about the musical direction and help take decisions regarding how the music is handled in-game. Nothing fancy really but incredibly rewarding. This also makes it logical for me to talk about the music of Cobalt and that’s why I wrote this post you’re reading! So, I suggest hitting the jump below for some inside info on the Main Theme of Cobalt!